This week at Eureka Stamps we are all about wings - yep, our challenge is "Wings & Things". You may think that is rather limiting, but there are plenty of things that have wings - bugs, birds, angels, planes, fairies...the possibilities are endless. For my project I chose to use 1601 Penguin on Ice and 20105 Chill Out for my card. I love this little penguin!! The ice sparkles a bit because I colored it with Spica Glitter Pens. The papers I used were pieces/parts from other projects. I hate to throw away the pieces of paper that I can use another time so often I go to that box to use the parts rather than breaking out another sheet of paper. I hope you come on over and join the fun this week at Eureka Stamps. We'd love to see you!!! Thanks for stopping by today. God bless you!!! Eureka Challenge #58 - Tag You're It! It's a new week at Eureka Stamps challenge and this week it's all about tags - include a tag on your card or make a tag. I decided to make a tag...and instead of using ribbon to tie it on the package - I used fun fur yarn. 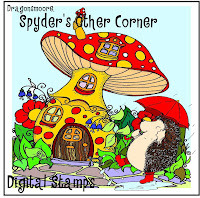 You can find the image at Eureka Stamps...along with a ton of other great images!!!! 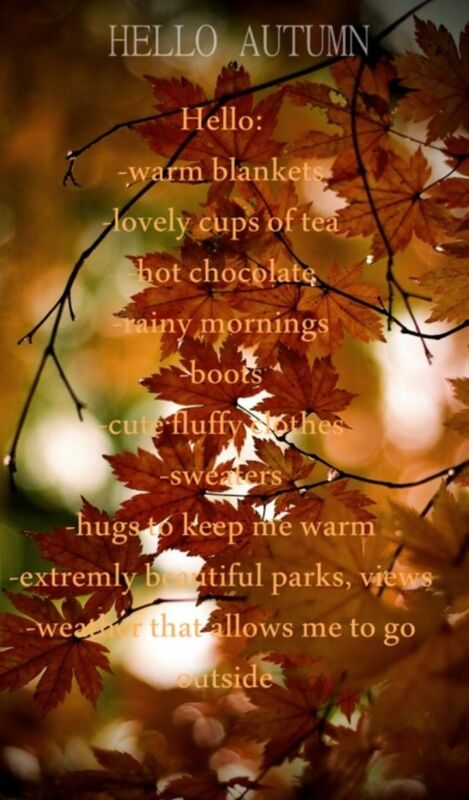 So make a tag or card with a tag and come on over to join us. We'd love to see you!!!! Blessings to you and your family!!! Pattie's Creations Challenge #76 - Animals.....and a SALE! Happy Friday!!! We've made it to the end of another week....and we've also made it the beginning of a new challenge at Pattie's Creations Design Challenge! Who doesn't love animals? 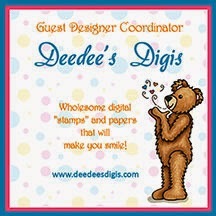 Even if you aren't one who has furry friends living with you we all have those cute animal stamps or digi's that we use. It's time to get them out and join us in our Animal Challenge at Pattie's Creations. And guess what? There is no excuse because if you don't have an animal stamp - or you're just tired of yours and want a new one - head on over to Pattie's Etsy Shop because all her images are on SALE!!! Yep - every image is on sale 40% off (use coupon code PATTIEBOOP1 at checkout). And I'm sure you'll find more than just one animal digi that you can't resist! LOL!! For my card I used "Mr. Bookworm with Books". Isn't he just the cutest little worm you've ever seen? I colored the image with Spectrum Noir markers and then just layered it up with pieces-parts of leftover cardstock and paper. So come on over and join us at Pattie's Creations Design Challenge....and head on over to Pattie's Etsy shop to join in the sale.....you only have until Sept 22nd to cash in on this incredible event!!! Thanks for stopping by today and have a very blessed day!!!! My card was using an image from QKR Stampede. I printed the image on 3 colors of stock and then cut them out and used some Stickles on them. The image I chose to use is called "Bella the Snow Lady". I colored her with pencils and then went over the "snow" part with Spica Glitter pen in clear to make her glisten. To add to the sparkle of the card, I used glitter tape from Darice and then put the buttons on the tape lined down the side. So now that you have seen two challenges - are you inspired? By one? Or maybe even both? I hope so!! I'd love to see you at both challenges!! You could make one card and enter both....so what not get out those buttons and make a Fall themed card this week. I'm looking forward to seeing what you create. Thanks for stopping by today and God bless you & your family. Aren't those just beautiful!!! I didn't go with a Fall theme for my card but I did keep with the colors. I used digi5903(412) Best Friends and digi8105(98-522) You're Special. I thought they were so cute and would be a great friendship card. I colored the image with Spectrum Noir markers and used stash papers and stock. 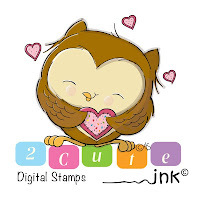 Thanks for stopping by and I hope you will join us at Eureka Stamps this week! Blessings to you and your family. This new stamp was screaming to be used! Of course I have lots of stamps that haven't been used (don't we all) and part of my quest is to use what I have and not buy anything new. So I promise that I didn't buy this one! :) A dear friend sent it to me and I fell in love with it because it's such a powerful sentiment. I made this card for a monthly swap over at SCS. Not sure what the purples were all about - but it was paper I had and ribbon I had so why not - right? Monochromatic cards is the theme this week at Twist of Faith! I love making monochromatic cards - it takes a lot of the guess work out of the process. But sometimes it can even be more of a challenge because sometimes even the same colors won't go together - you know how it goes. This week our sponsor is Melonheadz Illustrations. I love Melonheadz!!! The images are neat and wow - does Niki have some great collections!!!! I chose to use a candle for my card this week. I used to make candles right in my kitchen and so this image brought back a lot of memories for me. I must admit when I was making candles my house never smelled better! LOL!! I hope you come on over and join in the fun this week at Twist of Faith! Blessings to you and your families. Thank you for stopping by today. Thanks for stopping by today! Blessings to you and to your families. I'm late - I'm late - for a very important date!! But better late than never right? I sure hope so! This time at Pattie's Creations Design Challenge we are celebrating! What are we celebrating? Well, it can be anything you want to celebrate....giving a gift this week? Or next? You'll need a gift tag to make that package complete...so why not make one and not only use it for your gift - but also enter into our challenge which is Gift Tags (no cards). Remember the rule at Pattie's Creations....you must always use an image. Alright - you know the drill - now it's your turn! Come on over to Pattie's Creations Design Challenge and show us your tags! I'll be looking for you!!! Thank you for taking time out of your day to stop by and visit me. I sincerely appreciate it and am honored. God bless you!!!! It's September 5th....and that means it's SHARON DAY! What is "Sharon Day" you may ask? Well, it's the 5th of the month which means over at Crafty Gals on SCS we are honoring another member of our group and September it's Sharon. Sharon is an SU Demonstrator! You'll learn a lot more too! But you'll have to go to her blog and get to know her....believe me - it's worth it. Now part of honoring Sharon this month is that we are to go to her blog for inspiration and create something inspired by what we found. Remember I told you that Sharon makes tons of cards in a short period of time? Well, recently Sharon went to a crop and I think she needed a whole blog just to post the cards she made at that crop! She posted a ton of them - 47 in one post (if I counted correctly)!!! And they are all so beautiful: Sharon's weekend card making. In some of these cards were butterflies...so that is where I took my inspiration....and I made a butterfly card. (This card was also part of the monthly challenge group on SCS). Sharon, enjoy your day - and I can't wait to visit the blogs and see all the lovely creations from the Crafty Gal's. You'll want to check them out too - they are all listed to the left of this post. Thanks for stopping by today!! Blessings to you!!! 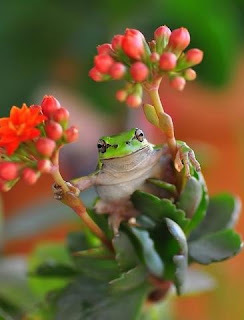 What goes together better than frogs an anniversaries? Well come on - aren't boys made of snails & puppy dog tails & play with frogs...and then they grow up and we marry them and have anniversaries? Ok, ok, I know I'm reaching here....but what else can I do when it's Tuesday and time for a dual post? I used an image from Lacy Sunshine called "Pickles Sharing Love"
Next up is Twist of Faith where this week we are celebrating Anniversaries. I have celebrated 13 of them with my Prince Charming. I used an image called "Happy Couple". The verse is a velum quote. I must admit that I have always struggled using these...I think partly because I'm just too cheap to buy the type of adhesive that doesn't show up on vellum. LOL! Now it's your turn - Come on over and join us at both challenges this week. Thanks for stopping by!! Blessings to you. "Tender Thoughts". Isn't that a nice phrase? Well, it's also a line of stamps at Eureka Stamps. 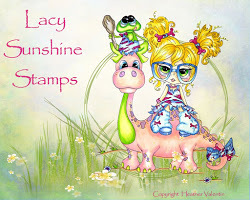 And it's also the theme this week at Eureka Stamps Challenge! I absolutely love this line of images because not only are they just so beautiful, but in many of them the sentiment is built right into the image. For some reason sentiments are a struggle for me - trying to match up the right sentiment with the right image for the right occasion. For this challenge I chose to use "On My Heart". I love this image and even know exactly who will be receiving this card this week. I colored the image with Spectrum Noir markers and then just added a few butterflies, pearls and a chipboard flower. Come on over and join us at Eureka Stamps this week and show us your take on "Tender Thoughts". Remember, you have to play to win! 'ABC' Challenges - "Coloring with Markers"
Thanks for stopping by and have a very blessed day!